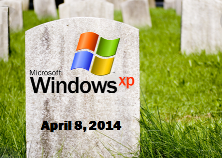 Windows XP has been a firm favourite for many users for over a decade but unfortunately the time has come for Microsoft to end support for the old warhorse and put it out to pasture for good. What does this mean for us I hear you ask, well this means that there will be no more updates from Microsoft protecting your PC from malicious software or hackers, these updates have always been key to the security of your system. Upgrade To Windows 7 or 8 With Your Current Computer. 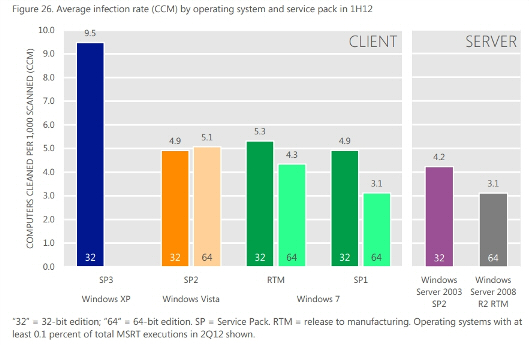 You can simply upgrade your operating system to Windows 7 or 8, this will depend on your system specifications especially with windows 8 but unless you have a touch screen laptop or desktop then I strongly recommend opting for Windows 7 due to it's more familiar layout and user friendliness. Invest In A New PC or Laptop. If your system is very old and you have already experienced several problems with it over the years it may be worth exploring the possibility of replacing the system entirely with something a little more modern, the components that go into a PC in today’s world are much more advanced than those we saw 10 years ago. If you stay with your current set-up there is a real danger of your system being breached in some way and I can not emphasise enough the importance of following one of the above steps to ensure that your system and the data it contains have the best chance of staying secure in the sometimes dangerous digital world of today.